Being A. R. Rahman’s nephew has its own privileges and composer turned actor G. V. Prakash Kumar’s latest tweet on Twitter is valid proof for it. GVP had shared a video on Twitter that showed him as a three and a half year old young boy singing in a recording session with the Academy Award-winning composer. 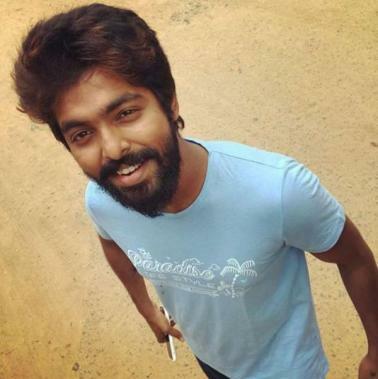 As known already, GVP started off in the Tamil film industry at quite an early age as a vocal singer in the blockbuster Gentleman, singing the opening verses of the “Chikku Bukku” song. Since then, G. V. Prakash has collaborated with ARR on several occasions right up until last year’s Vijay starrer, Mersal, in which he sang the smash hit, “Mersal Arasan” track. 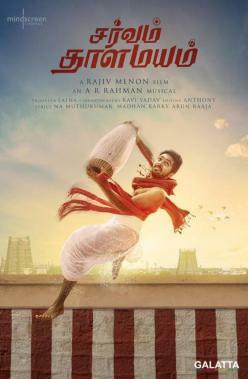 It must be noted A. R. Rahman has also scored the music for G. V. Prakash’s upcoming romantic musical, Sarvam Thaala Mayam, under Rajiv Menon’s direction. >>THALAPATHY 63: AR Rahman Leaves Atlee Emotional!